Tanya Smith is a Fellow of the American Board of Oriental Reproductive Medicine (ABORM) and the Ontario regional director for the OBAA. 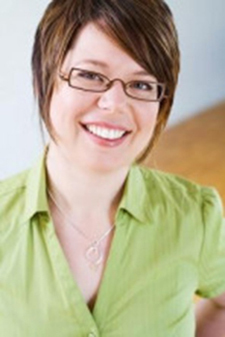 Tanya graduated from the Canadian College of Acupuncture and Oriental Medicine in Victoria BC in 2004. As an acupuncturist and birth doula, she has been bringing her craft and needles to pregnancies and labor rooms for over 13 years. Her experience supporting women and couples at their labour and deliveries gives her a special perspective in the care of pregnant and postpartum clients. She has lectured at the Canadian College of Naturopathic Medicine, at Ryerson University for the Midwifery Education Program and at the Breech Birth Conference in Ottawa. Her perspectives have also been featured on City TV’s Breakfast Television, in FLARE magazine, the Women’s Post and numerous local Toronto newsletters of valued colleagues.